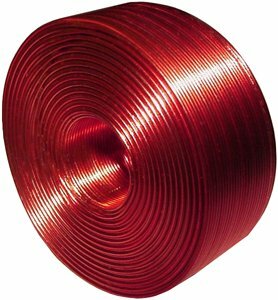 There are various situations where a coil is required that cannot be wound on either a coil form or core in order to minimize size or achieve a special shape. A common way to produce this is by using bondable wire. That is, wire which has an extra coating that acts as a cement to bond adjacent wires. The bonding can be activated by either heat or solvents. This type of coating is available on both solderable and high temperature rated wire. Custom coil prototypes or small production quantities can be produced with nominal tooling costs. For larger quantities, additional tooling is required. However, this tooling also enables the coils to be produced at relatively low cost. Coils are shipped so that they maintain their shape. Typical applications for these self-supporting coils are pot cores where bobbins are either not available or would consume too much space, air inductors, or in unique geometries required for military and medical applications.